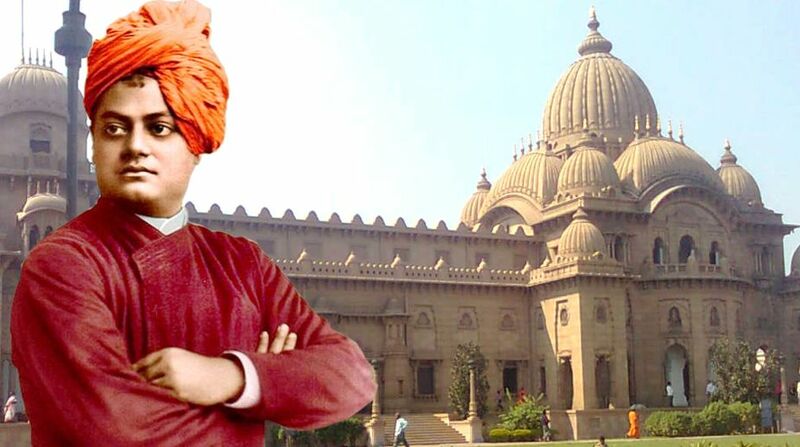 Swami Vivekananda upheld the spirit of man as one who is always victorious. He cared for the society that never fails to fathom and respond to its problems and priorities, promises and perfection. A vibrant visionary and positive thinker, he was one of the most powerful exponents of radical thought and experiments to put in place a challenging attitude both for man and society. His clarion call for the uplift of hoi-polloi is important even now and definitely for ever. His untiring endeavour for ‘man-making’ and ‘character-building’ education can indeed reshape the destiny of man. The evolution of man deserves to be examined in terms of enlightened humanism and spiritual excellence. Vivekananda’s prescription for man ~ “marooned in artificiality and maimed in a schizophrenic society” ~ is to be focused on the education of the soul or in other words, education of the whole in order to ensure serenity and fullness. Forbearance, gentleness, modesty, simplicity and sympathy ~ the essential components of education for the advancement of man and civilization ~ are yet to be recognised in terms of the progress of man and society. Vivekananda underlined the importance of the universal brotherhood of man and Truth in religion. Addressing his first public lecture in the East in Colombo on 15 January 1897, he said: “You may be a dualist, and I may be a monist. You may believe that you are the eternal servant of God, and I may declare that I am one with God Himself; yet both of us are good. How is that possible? Read then Ekang sadvipra vahuda vadanti (That which exists is One; sages call it by various names).’Above all others, my countrymen, this is the one grand truth that we have to teach to the world. Even the most educated people of other countries turn up their noses at an angle of 45 degrees and refer to our religion as idolatry. I have seen that; and they never stopped to think what a mass of superstition there was in their own heads. It is still so everywhere, this tremendous sectarianism, the low narrowness of the mind. The thing which a man has is the only thing worth having; the only life worth living is his own little life of dollar-worship and mammon-worship; the only little possession worth having is his own property, and nothing else. If he can manufacture a little clay-nonsense or invent a machine, that is to be admired beyond the greatest possessions. That is the case over the whole world in spite of education and learning. But education has yet to be in the world, and civilisation has begun nowhere yet. Ninety-nine decimal nine per cent of the human race are more or less savages even now. We may read of these things in books, and we hear of toleration in religion and all that, but very little of it is there yet in the world; take my experience for that. Ninety-nine per cent do not even think of it. 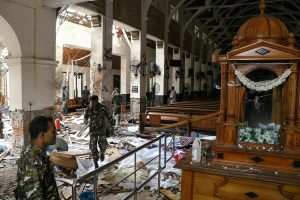 There is tremendous religious persecution yet in every country in which I have been, and the same old objections are raised against learning anything new. The little toleration that is in the world, the little sympathy that is in the world for religious thought, is practically here in the land of the Aryans, and nowhere else.” (The Complete Works of Swami Vivekananda, Advaita Ashrama, Kolkata, Mayavati Memorial Edition, Vol. 3, 1989, pp. 113-4). Profound reflections on the spirit of man the unknown is Vivekananda’s forte. As a harbinger of education that combines excellence and ascent of man and society, he strongly emphasised the education of the mind which should prioritise how to effectively control and master the same. Let education be a spontaneous and powerful force of how to think. Thinking alone would pave the path of success in every arena of life and work. To teach how to think embraces a world of multifarious and complex visions and experiences which foster an illuminated mind with endless challenges. Today’s education is in dire need of thinking in right earnest. He said: “The present system of education is all wrong. The mind is crammed with facts before it knows how to think. Control of the mind should be taught first. If I had my education to get over again and had my voice in the matter, I would learn to master my mind first, and then gather facts if I wanted them. It takes people a long time to learn things because they can’t concentrate their minds at will.” (Ibid., Vol. 8, p. 280). To learn how to think effectively in order to study the minds of others is to continually enrich the mind with right thoughts, right visions, right emotions and right sensibilities which, indeed, crystallise the mind with right actions and the right approach to life. The destruction of our character under the alien yoke has its stronghold even now so much so that the education of modesty, respect and patience is today almost a myth. More than a hundred years ago, Vivekananda had warned: “Our children have lost their politeness. To talk nicely is degrading. To be reverential to one’s elders is degrading. Irreverence has been the sign of liberty. It is high time that we go back to our old politeness. The reformers have nothing to give in place of what they have taken away. Yet in spite of the most adverse surrounding of climate, etc., we have been able to do much, we have to do much more. I am proud of my race, I do not despair, (and) I am seeing daily a glorious and wonderful future in my mental visions. Take greatest care of these young ones on whom our future depends.” (Ibid., Vol. 9, pp. 546-547). How does one orient the destiny of man and society? How does one bring about a radical change in man who is prepared to sacrifice everything for the welfare of society? Swami Vivekananda wanted each one of us to find the answer in fulfilment of the quest for Sachchidananda ~ Existence, Knowledge, Bliss. In the interest of our existence and general bliss, knowledge should lead to a meeting of the minds of men irrespective of caste, creed or community. The glory of a man rests in becoming men. Each ‘I’ ought to be in perfect unison with all ‘We’ and vice versa to ensure the genuine identity of man. The emerging society can then be declared as refined and enlightened. feeling of misery.” (Ibid., Vol. 6, p. 112). A new society born on the new image of man who cares more for others than for the self is what Vivekananda strongly professed. The writer is former Professor of Education, Visva Bharati University.